Window suction holder serve a specific purpose. They are used to hold products to the surface of the window. In order to do this, the product has to be extremely strong and resilient. It cannot lose its adsorption capacity easily. If this happens, the entire display will crash and cause embarrassment and loss of face. Hence companies have to pick products that are of the highest quality. They have to look at those companies that adopt a no nonsense approach to the production facilities. They also need to pick companies that are willing to experiment with new materials to achieve the desired results. These window signs are one of our most popular displays! 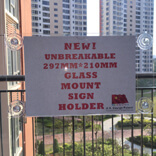 This suction cup sign holder is great for displaying your printed 8.5″w x 11″h literature or holiday signs back-to-back on glass doors or in windows. These window signs are double-sided so customers will not miss your promotions. Customers see your message while passing or coming in and they can see a different message when leaving. 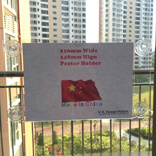 These window signs securely hold 8 1/2″ x 11″ poster in place. Images and other ads are easily inserted from the top or sides. 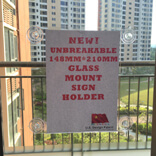 The window signs can remain mounted to your glass door or window while changing messages and promotions. This glass mount unit comes with suction cups that have been field tested and proven to hold. KingFar as a entity is always at the forefront of innovation in this sector. The company has made its name when it comes to strong suction hooks. They have experimented with a number of materials to make their products stand out in the market. They have introduced features like better weight bearing capacity, ability to work in different temperature zones as well as ability to hold its shape even in case of fires. The company uses materials like PVC, medical grade plastic, TPR and silicone to enhance the capabilities of the end product. Their range works from -20 to +80 degrees with relevant ease. They have made the products sturdy enough to handle temperature variations without any dip in performance. 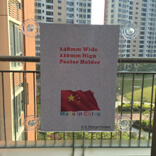 Can be used to hold standard displays between 8.5 inches in width and a maximum of 11 inches in height. 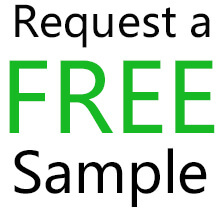 Can be used in any store environment to display signage of all kinds. Suction Cup KF-WSD210148 has been used successfully to handle display cases of all kinds. It can be used in an air conditioned environment as well as outside the store in extreme heat. There is no fear that the display case will lose its integrity due to its high load bearing capacity.